There is no doubt that Xiaomi is a relatively new company in the smartphone market but despite being new, they’ve created their fair share of market for themselves. Since they have entered the mobile market a few years back, they’ve kept on pleasing their critics and also people who appreciate their brand by offering them various user-friendly phones at low prices and smart designs. There’s a lot of buzz in the market whenever there is a new launch of some phone from the company. And it seems that the manufacturer of the phone has no such intention of missing this opportunity of capitalizing on the excitement and enthusiasm created among the audience regarding its new products. As of now, Xiaomi has manufactured quite a large number of phones which have all made their own niche in the industry. But that is not all for this company. They are already working on the next flagship phones which they’re going to release in 2018. Here is a list of smartphones from Xiaomi that you’re going to love the next year. All the Redmi phones from the company of Xiaomi have never failed to meet with the popularity and enthusiasm of people. The phones are all stuffed with different features which are not only user-friendly but also pocket-friendly. The next-generation Redmi phone is the Note 5. This phone will cost you a little less than 13,000 Rs and it will be powered with Android Nougat which is the latest version. With a 5.5 inch display and an 18 mp front camera and 16 mp rear camera, this phone is touted to take the best of selfies. This specific phone is all set to reach the shelves during 2017 September. The only pitfall of this phone is that it doesn’t have a fast charging option. This is yet another awesome phone which is planned to hit the markets in February, 2018 and this is priced somewhere around 30,000. This phone will have a 2.45 GHz Octa Core processor and is powered by Android Nougat. The phone has got 4GB RAM and also a memory storage of 128 GB. With the 6.4 inch display, this phone will make it a pleasure to watch videos as compared to all other phones. The camera will have 16MP rear camera and it will allow you to take beautiful pictures. However, at the same time, the 4MP front camera is not at all good for taking selfies. There is an option for quick charging and this makes this phone a super-hit! This smartphone won’t be powered by Android Nougat but the previous version which is Android Marshmallow. Mi 5S will have 3GB RAM and will have a 1.5 GHz Octa Core processor which can make a phone with very less chances of hanging memory. 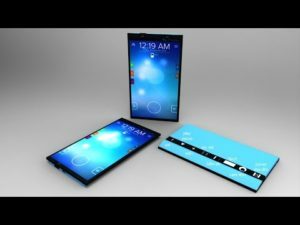 This phone will have a bigger screen than the one that is discussed here. You will find a slot for both micro and nano sim cards. The Mi 5S will have 12 mp rear camera and 4mp front camera. Hence don’t expect to get awesome selfies. February, 2018 is going to be the release month for this phone which will be priced around 20,000 Rs. Therefore, if you’re a gadget-freak who has always been wondering about switching from one phone to a better one, you’re going to have too many options in 2018. Just wait for the right time and the right place from which you can purchase them.